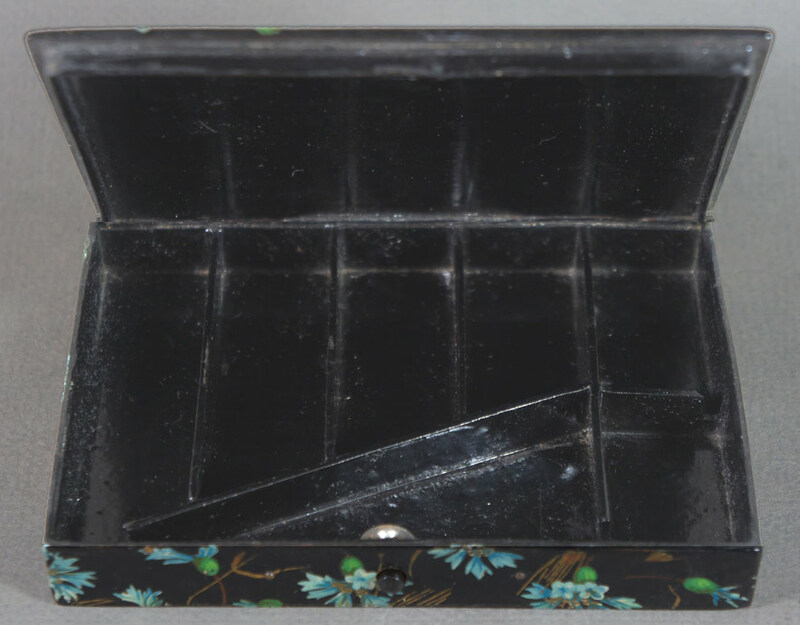 A 19th Century European papier-mache lacquer box, possibly a theatrical makeup box. The lid is hinged and has a spring loaded button release mounted at the front. 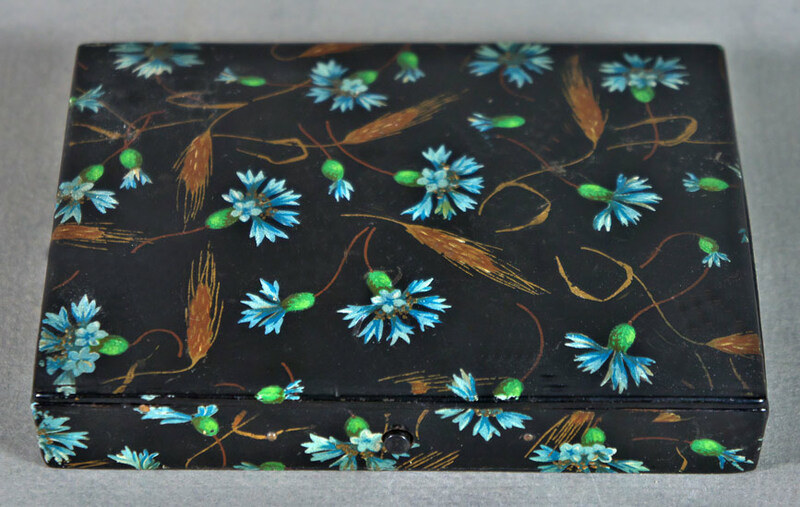 Top and sides of the box are decorated with scrolling wheat and cornflower blue floral motifs. The piece measures 5-1/4″ x 4″ x 1″ high.